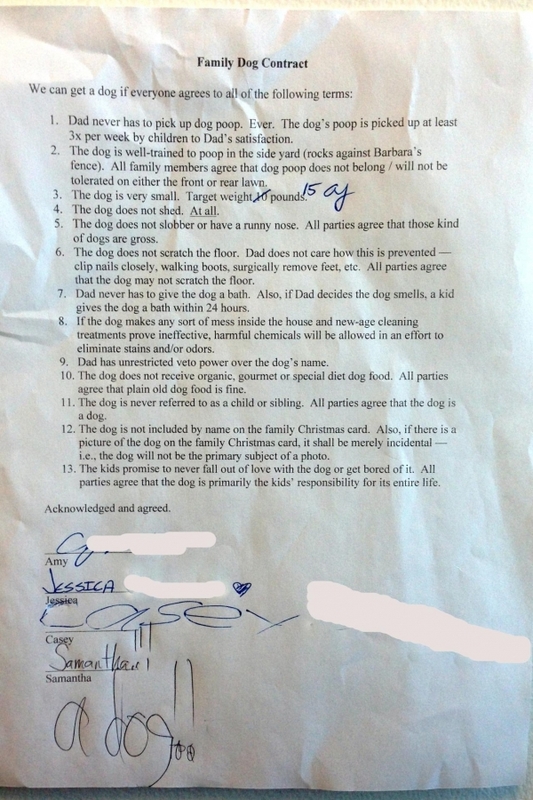 A reluctant dad drew up an elaborate 13-term "Family Dog Contract," in which he laid out some very important rules which his kids must abide by in order for the family to get a dog. 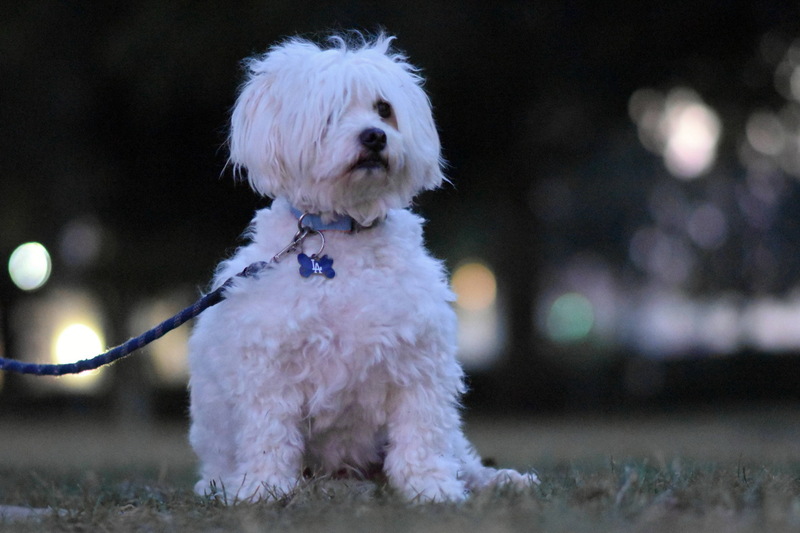 Epilogue: Two weeks after contract was signed, we got a ~three year old white fluffy mutt from a shelter that weighs 15 lbs., was already housetrained and doesn't shed or drool. We named him Kershaw (veto power not exercised). It's been two years, and the kids (now ages 12, 13 and 15) have been pretty good about doing everything. Kershaw eats dry dog food from Trader Joe's, and so far hasn't created any indoor messes that have required the use of harmful cleaning chemicals. Everyone (including Dad) adores the dog, which has been a fantastic addition to (though not member of) our family.